This variety is basically a Narragansett carrying a single red gene. Genotype: (b+b+ngngRr) for toms and (b+b+ng-Rr)for hens. The (r) red gene in combination with the (ng) narragansett gene changes the steel gray color of the typical Narragansett to a golden coloration. 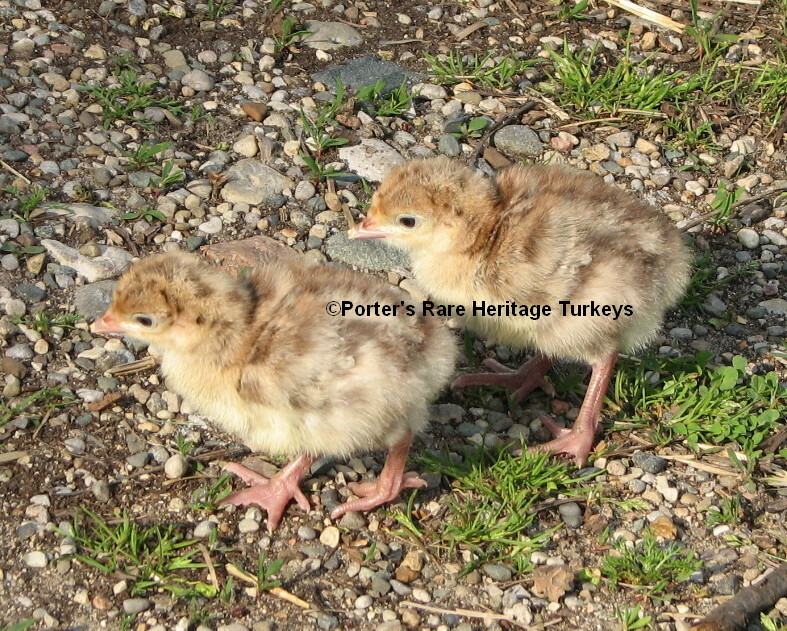 This variety produces three results: Narragansett, Golden Narragansett and a bronze based Buff. The Narragansetts and Buffs produced will breed true. 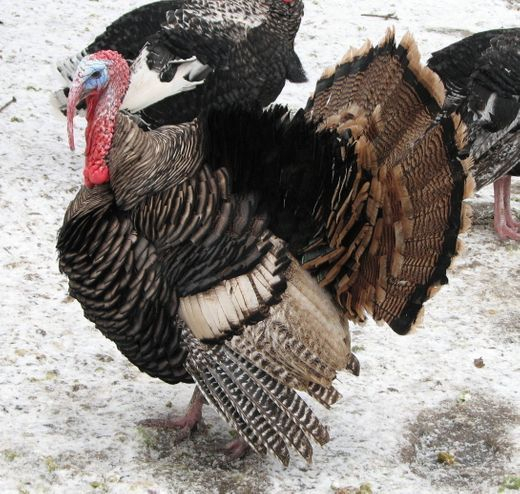 Narragansett toms can also be bred to Golden Narragansett hens (or vise versa) which will produce Narragansetts and Golden Narragansetts 50/50 ,with no buffs being produced in this cross. 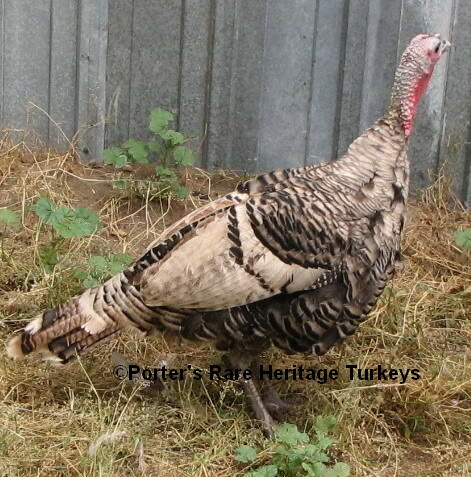 We hope our website is a useful resource for turkey color genetic education and other information that you can find all in one place. Please show us your support by making a small donation, which will help us to continue to keep this site going for years to come.